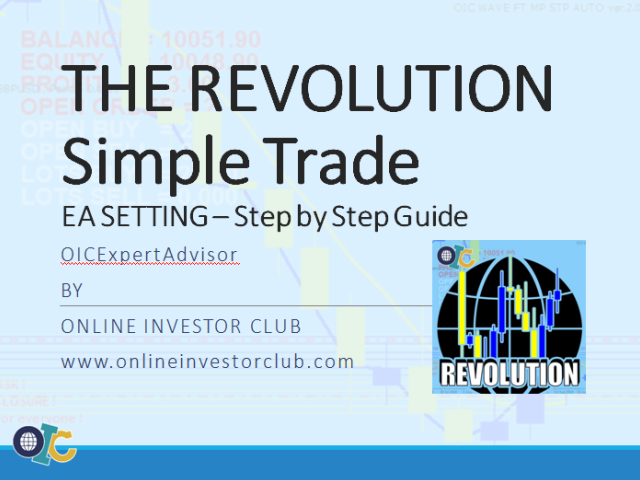 THE REVOLUTION Simple Trade is suitable for all type of traders whether you are a Swing Trader, Day Trader or Scalper. 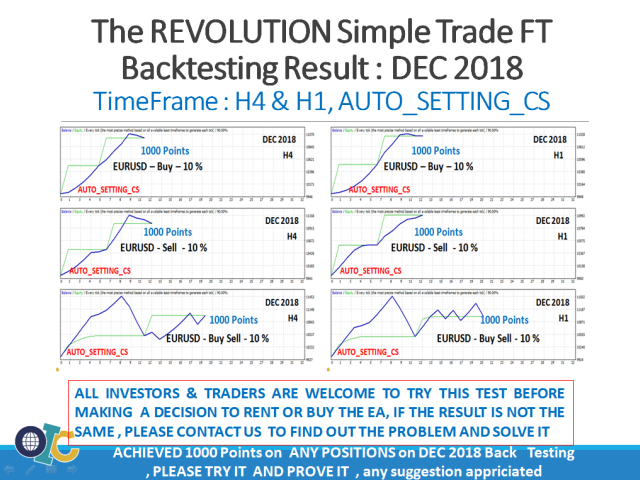 THE REVOLUTION Package consist of 3 EAs which combine into a Single EA which can create many stategies depend on the trading skills used/known by each traders. 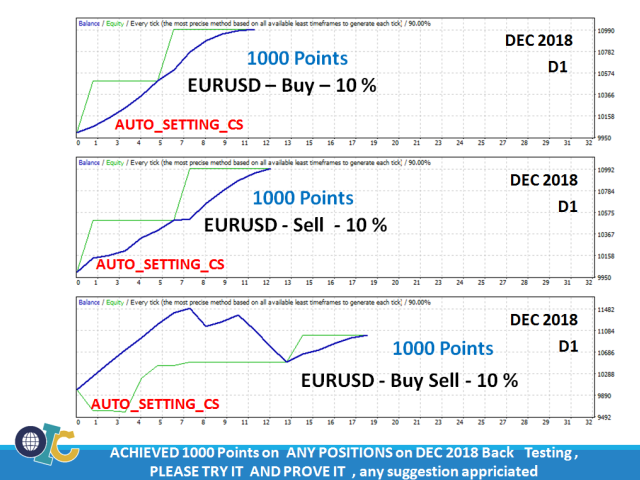 We provide AUTO_SETTING expecially for beginner or no experience investors which this AUTO_SETTING will trade to achieve 1000 Points or 10%/month, and for traders/investors who have experiences in trading can develop their skills by using the MANUAL SETTING to set achievable profits (2 - 100% /month), because you can create so many profitable strategies and you can save the setting and load them when needed. 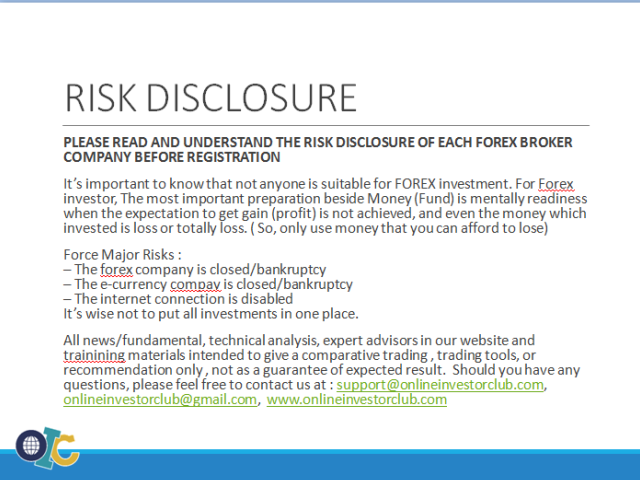 Single Currency in one account : GBPUSD only, or EURUSD only, GOLD /XAUUSD and etc. 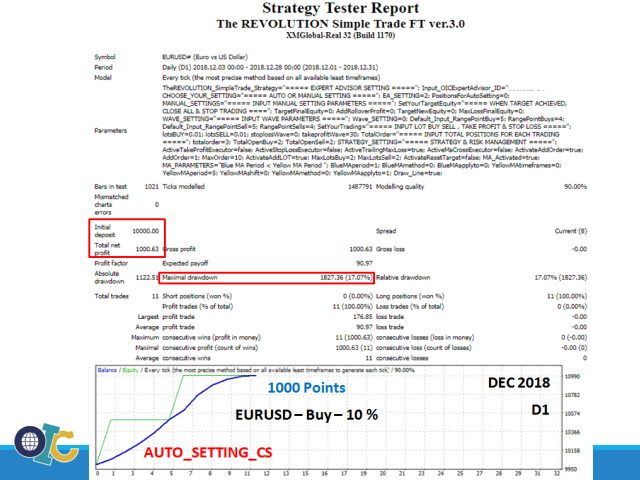 We will provide you with a complete guide and instruction on how to use this EA whether you trade againts the trend or follow the trend, or whether you do averaging, hedging or switching. 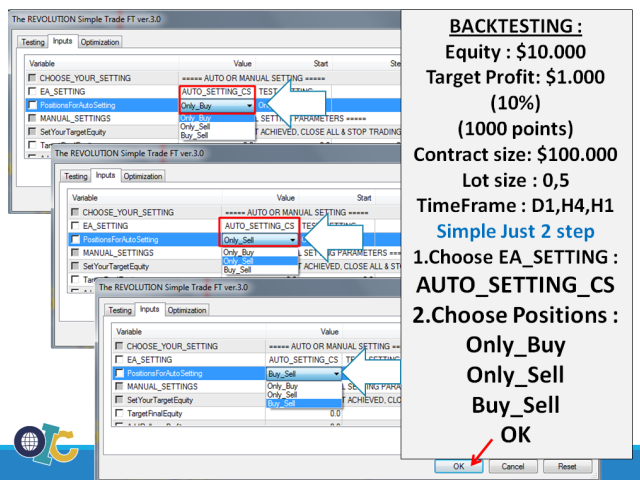 The Simplest EA to get profit, The Simplest is the Best. We also give you full support and free consultation on your positions when needed, so don’t hesitate anymore to have and use this EA. Contact Us or Buy Now.